Does this SUV concept from Chinese carmaker Yema remind you of anything? Can't put your finger on it? That's because it's ripping off the Lamborghini Urus, a car which hasn't been built. The Urus is still in the concept/development stage and you probably won't be able to buy one at least until 2017. The Yema is still a concept at this moment, and it will debut at the September at the local Chengdu Auto Show, reports Car News China. You can expect a production version sometime sooner than the Urus and it'll be a great bit cheaper, too. Yema is no stranger to ripping off other SUVs, building a knockoff Audi Allroad, a knockoff Subaru Forester, and a knockoff VW Touareg clone powered by a Mitsubishi 1.5 liter engine isn't far from production. 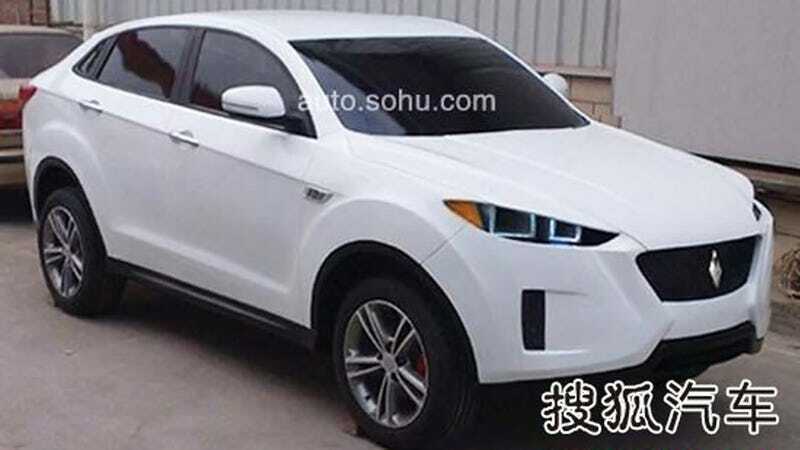 China Car Times speculates that their Urus clone may have the same engine. All of these Yema vehicles are based on the 1980s Austin Maestro and it is possible the Urus clone will be as well.